Plenary Panel – Disruptive influences in a mass HE system: preparing students for success in an unknown future. We are all aware that the requirements and workload of higher education workers (academic and professional staff in universities) have radically changed over the past decade or two. Student numbers have increased alongside expectations that students will have excellent learning experiences while they develop the skills and abilities to prepare them for work (Department of Education and Training, 2016). Previously the Office of Learning and Teaching (and its earlier manifestations) offered support and incentive (through grants, awards and fellowships) to university staff to explore, identify, develop and evaluate a variety of teaching ideas, resources and methods to enhance teaching and learning outcomes. The intention of the Sharing ideas, resources and experiences network is to bring academic and professional staff together across institutions and provide a space to explore ways to support each other as we strive to help our Students as they Transition into and across university, acquire the skills and abilities to Achieve their desired goals while being Retained so they can Successfully graduate. The network members will therefore be asked to discuss their own approaches to supporting our diverse cohorts; promote any resources they use to assist in enhancing the university experience of their students and share ideas about how they manage their workloads while supporting their students to reach for the STARS. 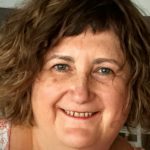 Ann has worked in higher education for over 20 years in both Australia and England, as a lecturer and in libraries (in a range of different roles). She has also tutored and worked as a research assistant on various projects which explored: support for first year students; preparing academics to teach in universities and redeveloping curriculum. In her current role, Ann works with staff to investigate and trial approaches in curriculum development, teaching and assessment with a focus on those which support the diverse needs of students new to university. She also undertakes research; co-facilitates two Communities of Practice; coordinates the Flinders Foundations of University Teaching program for staff new to teaching and/or new to the university and delivers workshops (and other resources). During the past six years Ann has been both a lead and co-investigator on a number of research projects related to teaching and learning. These include: the Office for Learning and Teaching (OLT) funded “First Year Student Expectations and Experiences” project (2009 – 2012); an OLT funded Extension Grant related to the aforementioned project (2013 -2014)); a National Centre for Student Equity in Higher Education (NCSEHE) funded grant titled, “Exploring the Experience of Being First in Family at University” (2014 – 2015); and an OLT funded grant titled “Helping First-Year Students Flourish Through Languages: Integrating Positive Psychology, Transition Pedagogy and Content and Language Integrated Learning (CLIL) Principles” (2016). Ed is Manager – Student Engagement and Retention at the University of New England and Chairs UNE’s Orientation Committee which supports the transition of more than 10,000 commencing students (studying online and on campus) each year. He leads UNE’s Early Alert Program which won an OLT Program Award and Citation in 2011 and has been involved in student engagement for the past 18 years. 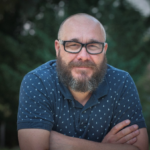 He is passionate about Engagement Analytics and is responsible for the development of UNE’s peer-based Personalised Retention & Engagement Program (PREP) which supports commencing students from enrolment through the first weeks of studies. He has a background in rural journalism, public relations and marketing, is a reformed musician, and a very amateur gardener. Dr Georgina Heath is a Psychology Lecturer and First Year Coordinator at the University of South Australia. 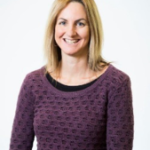 Georgina has been employed in her current role since 2016, however, she has been teaching at the University of South Australia since 2010 whilst completing her PhD which was conferred in 2015. Georgina currently coordinates two large first year courses (Psychology 1A and 1B) along with a variety of other Psychology courses. In her role as First Year Coordinator Georgina has been working on a project to assist with student engagement and retention in the School of Psychology, Social Work and Social Policy. Georgina is also interested in the area of shift work and health which was the focus of her PhD titled ‘Shift work and Eating Behaviour’. Georgina has published her findings from her PhD and presented her work in this area at international conferences.